North Augusta High School holds a special place in the hearts of students, alumni, faculty, staff, friends, and the community. In honor of the many men and women who currently protect our country and the veterans who have previously served, Future Business Leaders of America and NJROTC would like to build a memorial in rememberance of the personal sacrifices these brave men and women have made for each of us. The Memorial will be built in the flagpole area of North Augusta High School. It will transform the area into a more aesthetic and memorable place that it deserves to be in order to honor our military. The memorial plans will include a plaque honoring the military pranches of service; a bench for rest and reflection; a green space with landscaping to include brick pavers with names of veterans and active military imprinted on each brick. This plan is also in keeping with the architecture and green space areas throughout the city of North Augusta. A special commemorative brick program has been initiated to recognize the names of our veterans and active men and women who serve in the military. 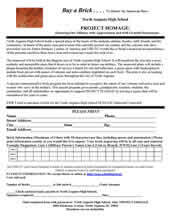 This special program gives parents, grandparents, teachers, students, the community, and all stakeholders an opportunity to support Project HOMAGE by leaving a legacy that will be remembered for years to come. 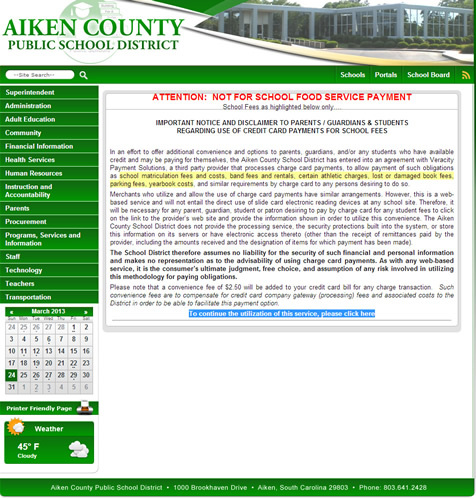 Click the image on the right to open Aiken County Schools' online payment service in a new tab. 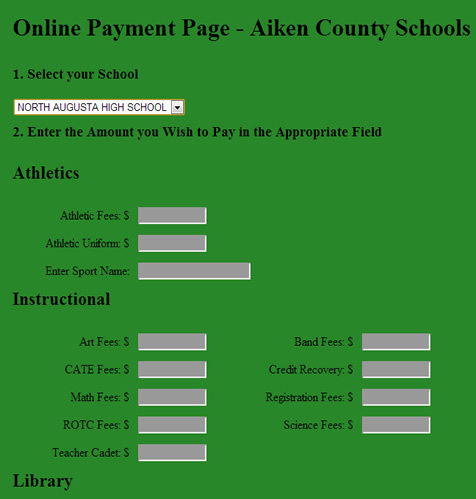 Read the disclaimer then press the link at the bottom that says "To continue the utilization of this service, please click here"
Go to number 1 on the online payment page and select "North Augusta High School" as the school of payment. 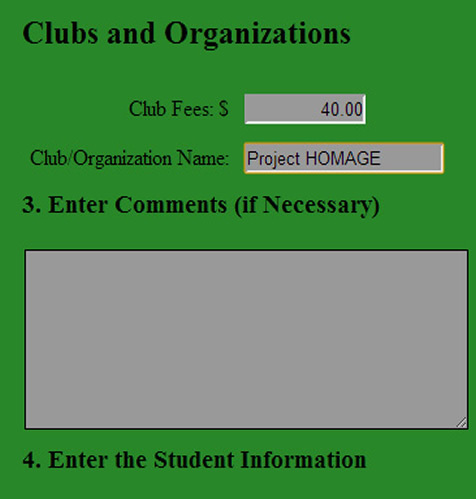 Skip down to "Clubs and Organizations". Go to the "Enter Comments" part of the application. 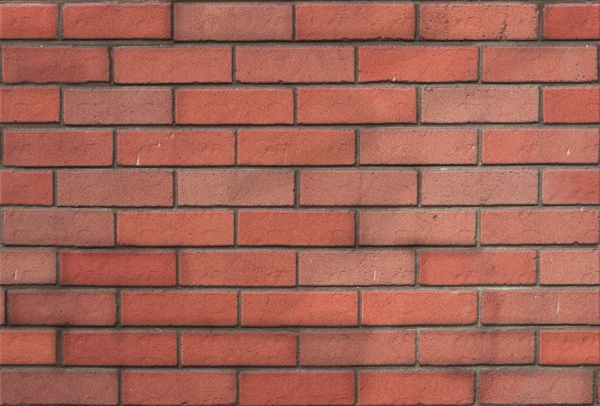 Here it is necessary to write what you would like to appear on your brick. Go to “Enter the Student Information”. 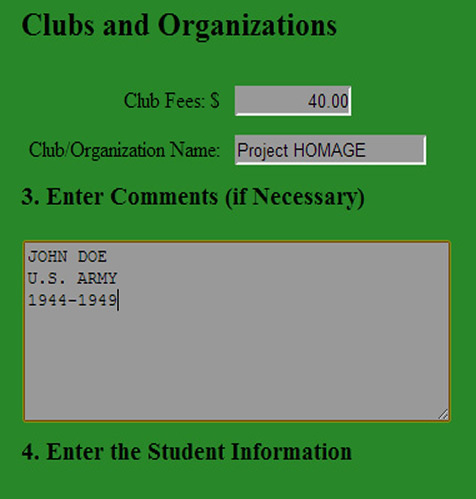 In place of the student name use the name of the veteran you intend to buy a brick for. 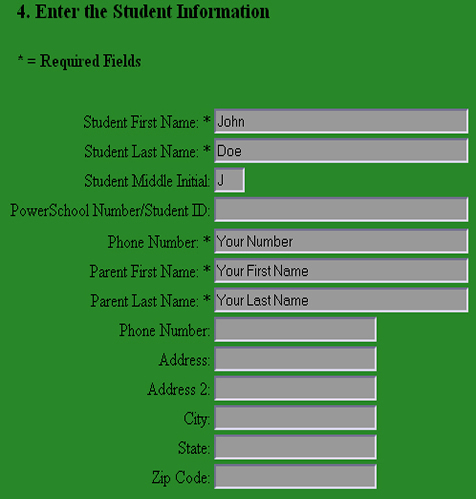 In the “phone number” field enter your own number. 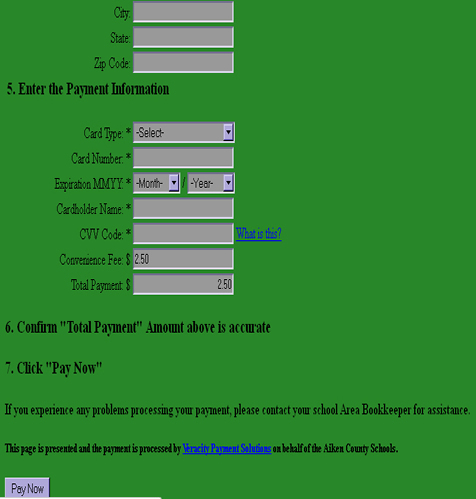 Enter the payment information and follow the instructions on the page to submit.